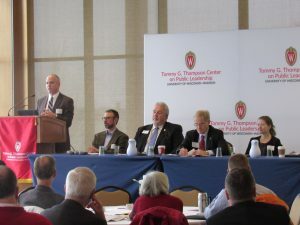 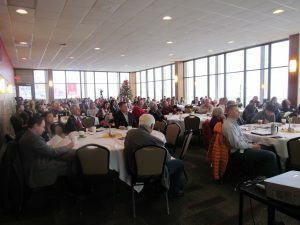 Our mission is to provide unfettered access to the actions of our state government and to the full range of forums, activities, and participants throughout our state that constitute community and public life in Wisconsin; To provide access to the public policy debate and decision-making process without editing, commentary, or analysis and with a balanced presentation of points of view; To provide elected and appointed officials and others who would influence public policy a direct conduit to the audience without filtering, or otherwise distorting their points of view; To employ production values, and to conduct all aspects of our operations, consistent with these principles. 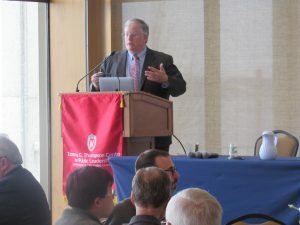 Keynote Address : Charles Franklin – 2018 Midterms: What Changed? 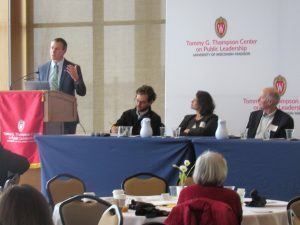 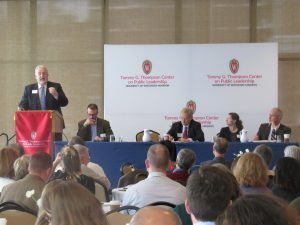 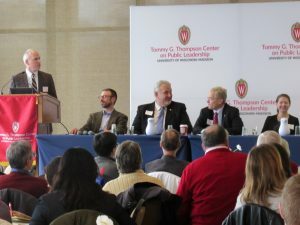 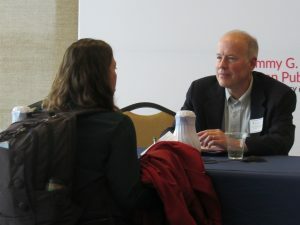 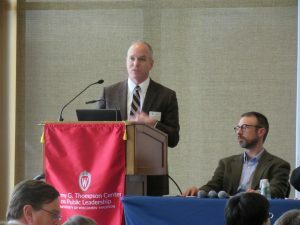 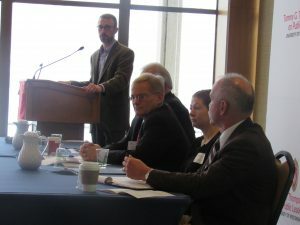 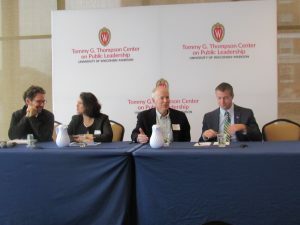 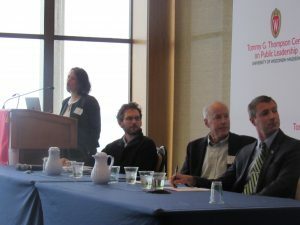 The Thompson Center hosted a free event featuring a number of academic luminaries currently involved in the research of leadership in contemporary American politics. 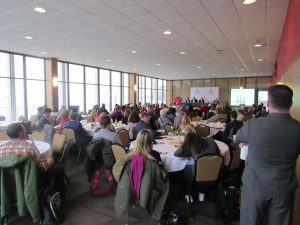 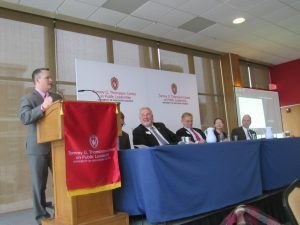 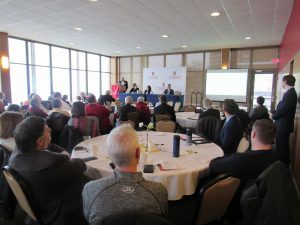 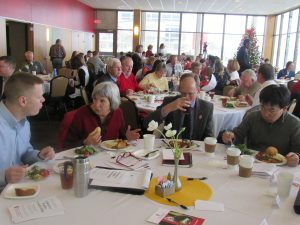 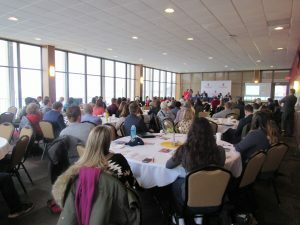 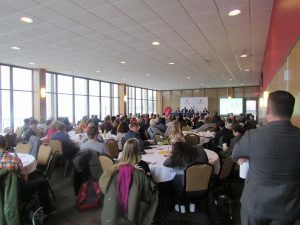 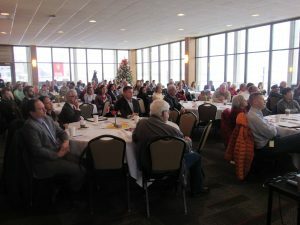 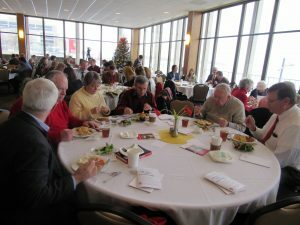 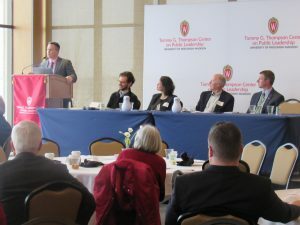 The event was held in the Pyle Center Alumni Lounge and featured an excellent view of Lake Mendota! 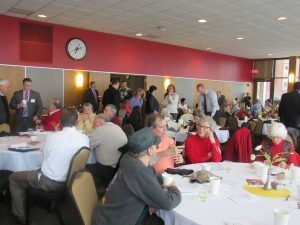 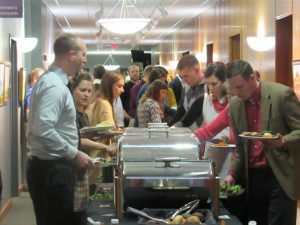 The event focused on two general themes. 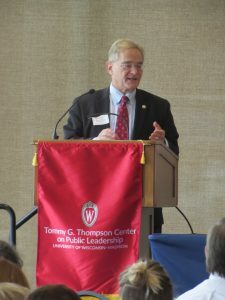 The first theme was what skills tend to produce more effective public leaders and make for effective leadership. 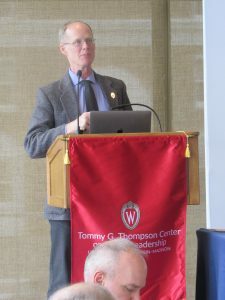 Alan Wiseman from Vanderbilt University (and co-director on the Center for Effective Lawmaking) presented his work on effective lawmaking. 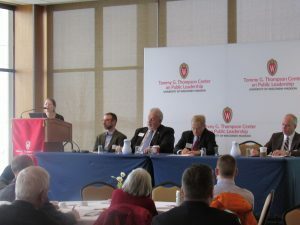 Laurel Harbridge-Yong from Northwestern discussed how policymakers can work in a polarized environment. 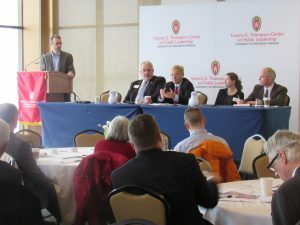 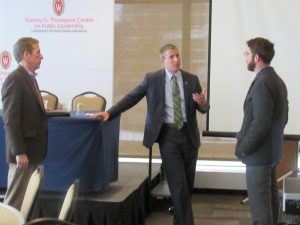 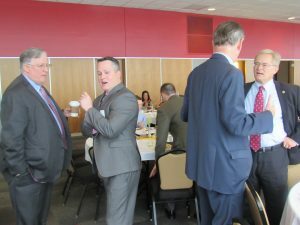 Representative Peter Barca of the Wisconsin State assembly and former Representative Mark Honadel of the Wisconsin State assembly then gave insights from their personal experiences in running the state government. 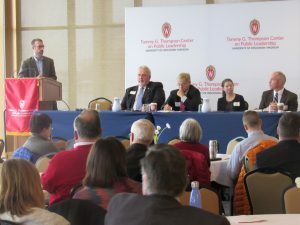 The second theme focused on how political leaders can use and abuse their powers to motivate citizens. 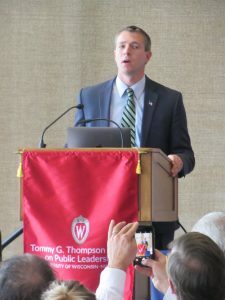 Good politicians can use envy and lies, for example, to win elections by pitting people against each other, but good leaders use their resources to lift everyone up. 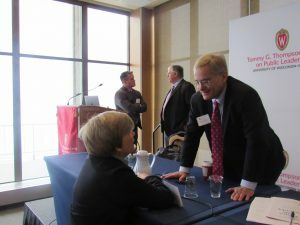 Richard Smith of Kentucky presented some of his analysis of envy in the political world. 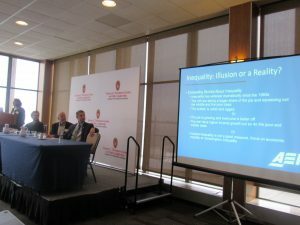 Aparna Mathur from the American Enterprise Institute then talked about perceptions of inequality and how it was viewed differently from person to person. 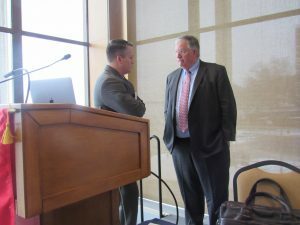 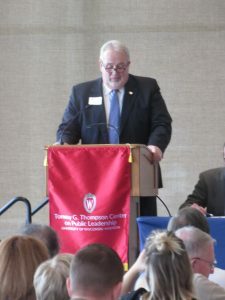 Additionally, the keynote speaker for this event was Dr. Charles Franklin, Director of the esteemed Marquette Law School Poll. 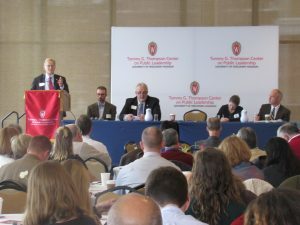 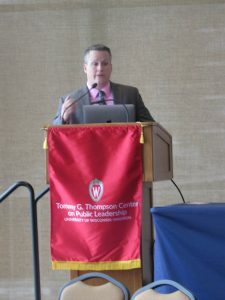 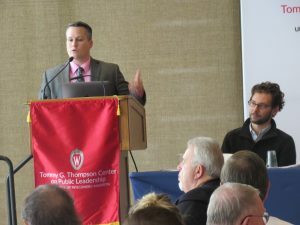 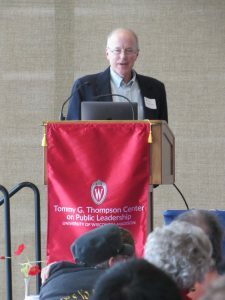 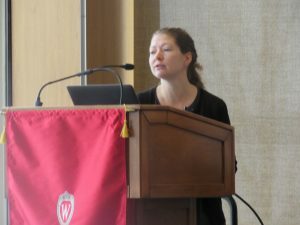 Dr. Franklin discussed fascinating data from the Wisconsin midterms and the trends that appeared in Wisconsin’s various political races. 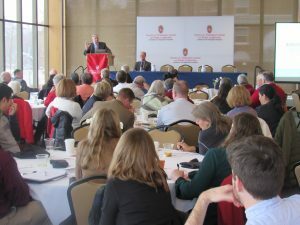 Click here to see the conference brochure and itinerary.